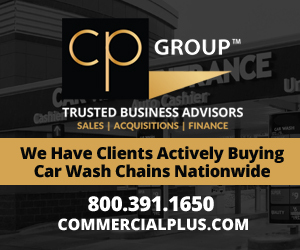 Did you know that there are now more opportunities to connect with your car wash peers than ever before? 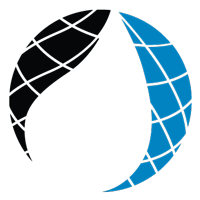 International Carwash Association announced the launch of five new industry events this year to help you connect with your peers throughout the year. From European car wash tours to a sporting retreat, to a high energy un-trade show event in Las Vegas this fall, there are events to suit a wide variety of interests. Crew Carwash, a long-standing central Indiana car wash establishment, is increasing its efforts to protect the environment by drastically reducing its use of plastic rear wiper safety bags. New equipment adjustments in the car wash tunnel allows Crew to reduce the number of bags by 95 percent, cutting down the average number of bags used annually from over one million to fewer than 50,000. 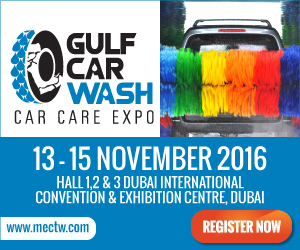 Visit http://www.carwash.org/news-landing/2016/03/21/crew-carwash-reducing-use-of-rear-wiper-bags-as-part-of-eco-friendly-initiative to view the full article online. During 2015, Autobell® Car Wash’s Charity Car Wash Program helped raise $634,398 for charities, schools, and other nonprofits in North and South Carolina, Virginia, and Georgia. The Charlotte-based company’s program began in 1998 and has assisted nonprofits in raising over $7.6 million to date. 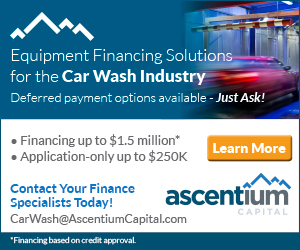 Visit http://www.carwash.org/news-landing/2016/03/22/autobell-charity-car-wash-program-helped-nonprofits-raise-over-$634-000-during-2015 to view the full article online. After serving the Car Wash Community for more than 50 years, 7 Flags Car Wash is proud to present our newest and most advanced car wash yet! The 7 Flags Sunrise Express Car Wash is open for business, and we are offering $1 car washes for the entire week, which includes a free towel dry. From Monday, March 28 thru Sunday, April 3, our doors will be open from 8 a.m. to 8 p.m., offering $1 car washes to all customers. 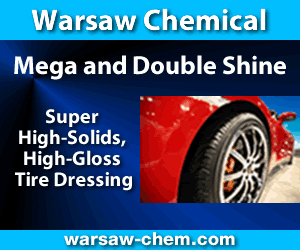 Car wash packages that normally range from $6 to $20 will be only $1 to $5 for the entire week. Visit http://www.carwash.org/news-landing/2016/03/22/7-flags-sunrise-express-car-wash-$1-grand-opening to view the full article online. While this rainy season has been relatively wet, it doesn't mean Bay Area water districts will be lifting their drought restrictions, at least not right away. Some reservoirs in Northern California, like Shasta and Oroville, are brimming thanks to a relatively wet winter. But not all of them. Visit http://abc7news.com/weather/winter-storms-not-enough-to-help-water-levels-at-east-bay-reservoirs/1256748/ to view the full article online. DJ's Car Wash say they wash 200 to 300 cars a day during pollen season. Most cars around south Georgia turn yellow during the pollen season. There''s no business like the pollen business for south Georgia car washes. 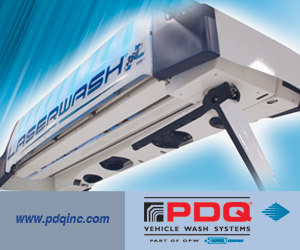 Visit http://www.wtvm.com/story/31525042/car-wash-business-booming-during-pollen-season to view the full article online. Finding the right employees for your business is hard, and so is retaining them. When you need a hire on short notice or an extra pair of competent hands to help, turning to family members can seem like a great option. After all, what is family for if not to lean on? While working with family members might seem like a good idea, it can often lead to challenging and uncomfortable situations or even potentially hurt relationships. Visit http://www.inc.com/adam-heitzman/the-good-the-bad-and-the-ugly-of-hiring-family-members.html to view the full article online. The life of a small business owner is filled with many memorable moments. From hiring the first employee to crossing the $1 million in revenue milestone, each day is likely to bring surprises, accomplishments and challenges. But the one day that fills almost all small business owners with dread is April 18 - Tax Day. Visit http://www.huffingtonpost.com/james-mendelsohn/treat-tax-season-as-an-opportunity-to-strengthen-your-small-business_b_9516064.html to view the full article online. The opening of the advertising floodgates definitely has Instagram users on edge. They fear that the feed they tap into for inspiration and escape will be tainted by the presence of advertisers, who are simply in the business of paying for eyeballs. But for savvy marketers and advertisers, there''s a key tactic to turn to when approaching the platform: influencer activation. Visit http://www.adweek.com/socialtimes/4-approaches-for-navigating-influencer-marketing-in-2016/636380 to view the full article online. Let's cut the fluff and get right to it. The road to text marketing success is paved with Exclusivity. Listen. If you're just firing out generic offers to your text marketing list, you simply won't survive. If you use text marketing as an echoing platform, your opt out rate will drastically increase. Visit http://www.slicktext.com/blog/2016/03/heres-what-paves-the-road-to-text-marketing-success/ to view the full article online.